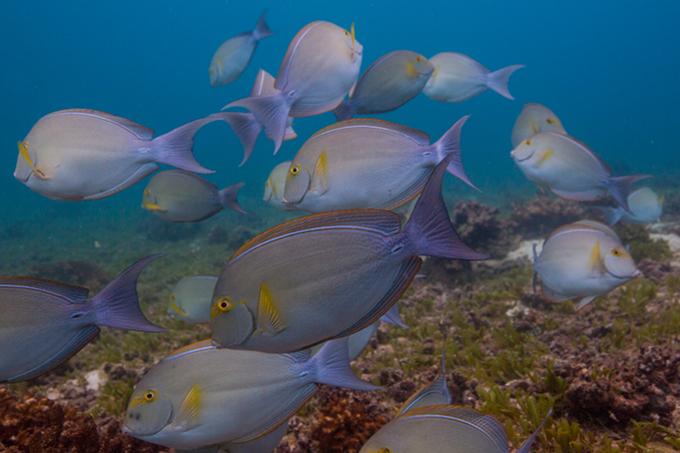 A school of surgeon fish. Photo by the Smithsonian’s Sean Mattson. The Smithsonian Tropical Research Institute (STRI) will finance with its own funds the creation of an information baseline on sports diving sites identified in the management plan for Coiba National Park Protected Area (PNC) and the regulations for its Special Marine Protection Zone. Together these areas are a World Heritage Site, as declared by the United Nations Educational, Scientific and Cultural Organization (UNESCO). This information, which will be compiled by researchers at the Institute, will establish the load capacities and limits of acceptable changes for an up-to-date management of those marine environments of the National Park that are subject to visitation. Coiba National Park’s 1,700 hectares of reefs and coral ommunities of are considered to be the most extensive in the Eastern Pacific. The management plan identified the park’s visitation attractions based on coastal marine resources, particularly reef and coral communities, beaches and sport fishing areas. This past January the Coiba National Park board of directors approved a Public Use Plan (PUP) and later the regulation of productive activities that take place in the park’s Special Marine Protection Zone. Both documents were sent to UNESCO, which expressed some concerns and recommended its revision and adaptation based on scientific information. The scientific information that STRI will generate will contribute positively to correct the deficiencies of the PUP that were identified by UNESCO. This program also includes improving communication with tour operators for the responsible management of each site and the tourists who visit them. “We cannot allow the PNC to enter UNESCO’s list of endangered sites. This is not an option for us,” said Héctor M. Guzmán, the STRI researcher who will be in charge of the new monitoring program that begins in July 2018. 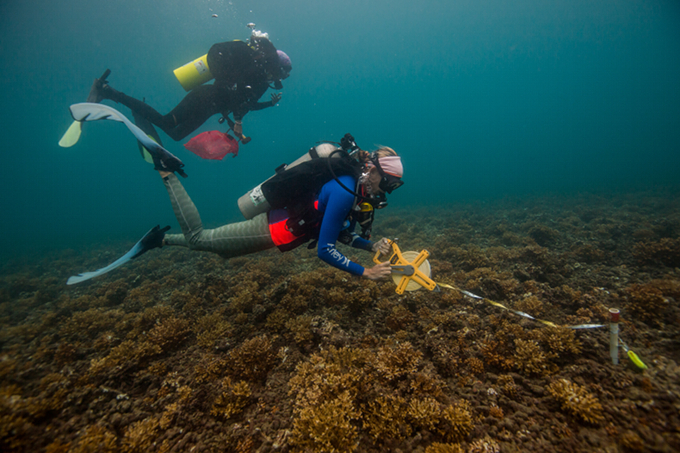 Smithsonian scientists dive on coral reefs in Coiba National Park during an expedition in October of 2017. Photo by Sean Mattson — Smithsonian.